LM vertical buffers are special storage systems to be located along packaging lines to compensate for micro-stoppages of downstream machines so to avoid disruptions in the operation of upstream machines. 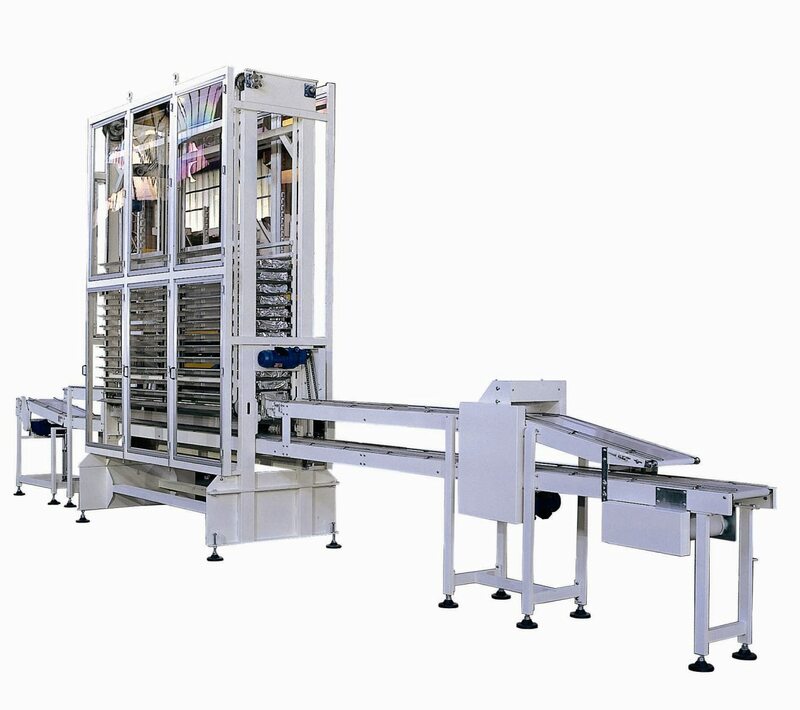 When downstream machines are back in operation, stored products are gradually reinserted along the line in parallel with normal production. Products can be reinserted in batches as they were previously stored, by stopping for a moment, with pneumatic gates, incoming products from upstream machines, or they can be reinserted one by one in between incoming products, which have been previously spaced.